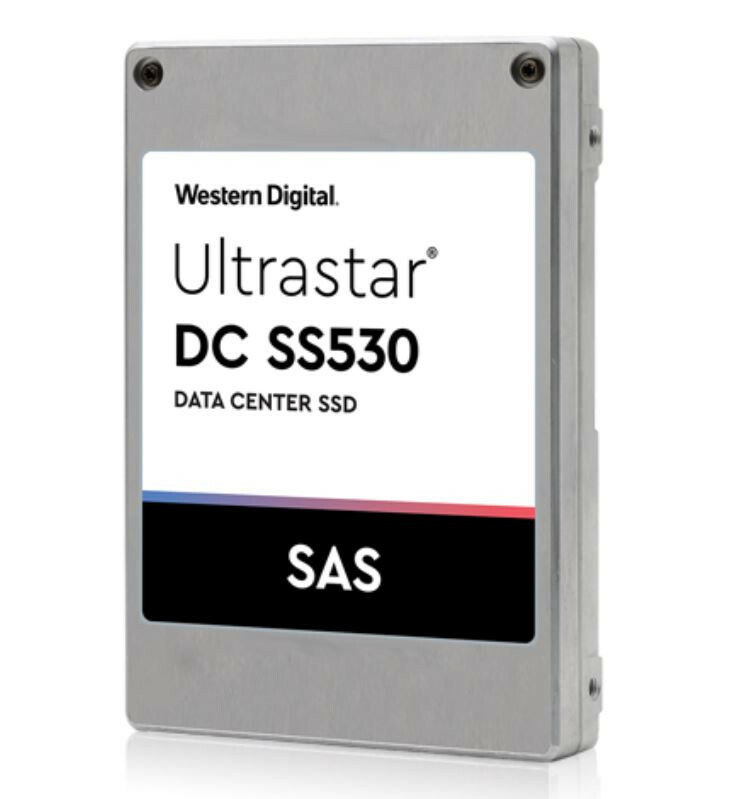 Western Digital Corporation, a data technology leader, today introduced the new Ultrastar DC SS530 SAS SSD, the company’s highest-density drive and the fastest dual-port SAS SSD in the market, enabling server and storage array manufacturers to offer customers substantially lower data center TCO for Fast Data applications. By doubling maximum capacity of the previous generation to 15.36TB within the same 2.5-inch 15-mm form factor, drive storage density also doubles, giving IT managers the potential to reduce the number of drives deployed, consolidate servers and open up valuable rack space for improved CapEx and OpEx costs. Ulrich Hansen, vice president of Enterprise Product Management at Western Digital. Developed in partnership with Intel , the Ultrastar DC SS530 is based on a trusted third-generation platform that has been previously qualified at most major OEMs worldwide. It offers consistent performance and reliability to meet the rigorous demands of today’s toughest data center workloads. Designed with a 12Gb/s SAS interface, and available in capacities from 400GB to 15.36TB, the Ultrastar DC SS530 delivers up to 440,000 random read and 320,000 random write IOPS – providing rapid access to “hot” enterprise data for higher productivity and operational efficiency. Bill Leszinske – Vice President of strategic planning, marketing and business development at Intel Corporation. Western Digital is currently shipping Ultrastar DC SS530 samples to select OEM customers with broader availability later this quarter. The new drive further expands Western Digital’s broad range of enterprise-class storage solutions, which include high-performance NVMe SSD devices, innovative HelioSeal enterprise hard disk drives as well as SAS and SATA SSD devices, IntelliFlash all-flash arrays, ActiveScale object storage systems, and Ultrastar storage servers and platforms.